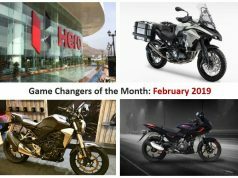 The first month of the year 2019 was not that great for the Indian two-wheeler market in terms of launches. Main product launches came only from Yamaha and Okinawa. 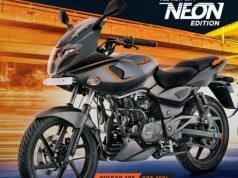 Bajaj’s announcement of entering the electric two-wheeler market and Okinawa’s long-range electric scooter can be seen as a Game Changer. 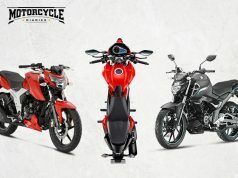 As you all know, 2019 Dominar 400 launch is around the corner and Bajaj CEO, Rajiv Bajaj also confirmed that they are seriously moving ahead with their Urbanite Electric Scooter brand. 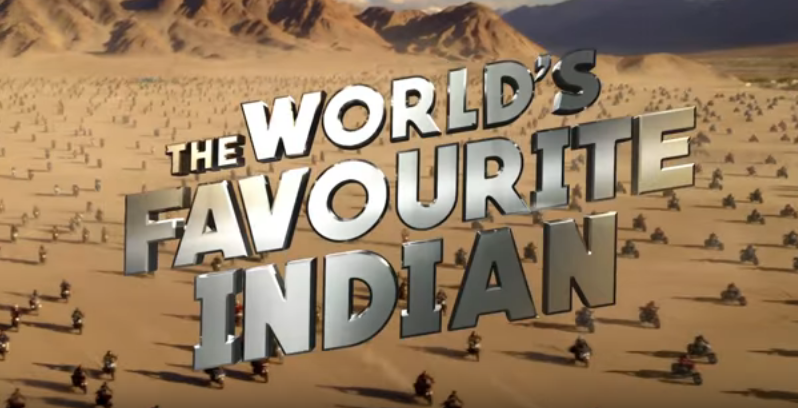 Just recently we got to see a Bajaj TVC in which company declared themselves as The World’s Favorite Indian and they are not wrong as two out of every three bikes exported from India has a Bajaj badge. 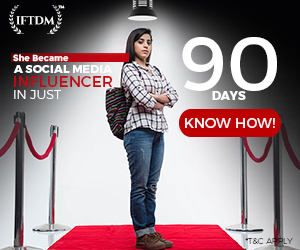 We think this campaign will prove to be a game changer for the company as people subconsciously get the idea of Bajaj’s prowess in the international markets. Speaking about the electric scooter, Bajaj confirmed the launch of an electric scooter by next year and will compete with the likes of Ather, Okinawa, and Twenty-Two motors. 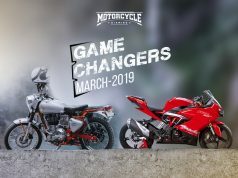 If rumors are to be believed, Bajaj is also working on next generation Pulsar and Adventure series of motorcycles and will start launching updated products from next year keeping in mind the enforcement of BS-6 emission norms from 1st April 2020. 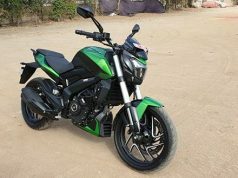 In July 2018, Kawasaki launched updated Ninja 300 with dual-channel ABS and also reduced its price by Rs 62,000. Ninja 300 is now available for Rs 2.98 Lakh ex-showroom, Delhi. Heavy localization helped Kawasaki achieve this price reduction. Not only that, individual cost of spare parts has reduced significantly. 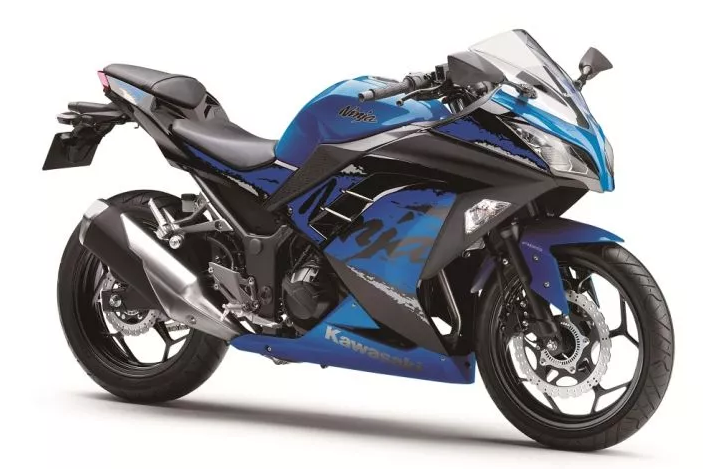 This will prove to be a game changer in 300 cc category as sales of Ninja 300 after price cut is on the rise and Yamaha R3 is nearly smoked which can be seen in the sales report of December 2018 where only 10 units of R3 were sold on contrary to Ninja 300’s sales figure of 220 units. With price reduction of spare parts, sales will further boost and we can expect 250+ unit per month for Ninja 300 in 2019. It has to be seen what strategy Yamaha will use to sell 2019 version of R3 in the price sensitive Indian market. 2019 Edition of Dakar Rally was touted as the most difficult and gruesome Dakar ever organized. As a matter of fact, only 55% of racers were able to finish the race and only one of them was an Indian. 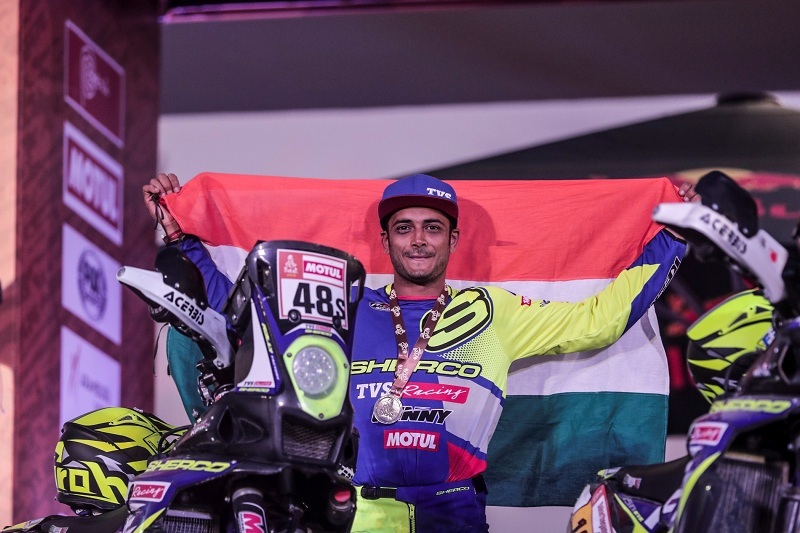 Yes, Aravind KP was the only Indian to finish Dakar Rally 2019. Another Indian CS Santosh had a good run before exiting the race due to a heavy crash in Stage 6. 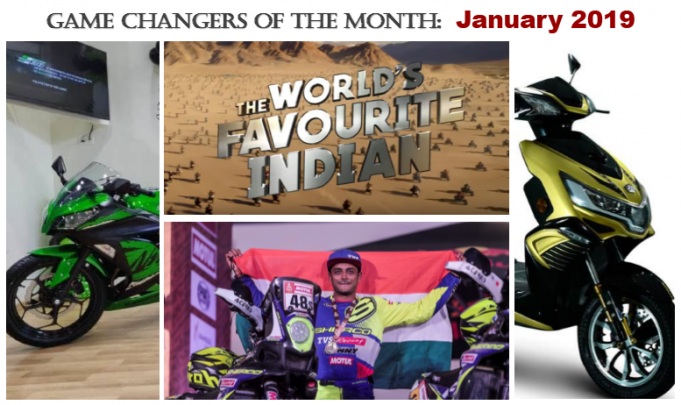 It was quite interesting to see two Indian manufacturers in the World’s most gruesome and talked about Rally. 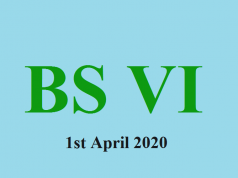 TVS racing and Hero Motosports are gathering experiences of off-roading which might reflect in their future off-roading motorcycles. 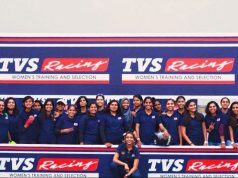 TVS racing though organizes few off-roading races in India throughout the year which attracts young off-road riders who will bring glory to the country by participating and finishing international rallies. This Dakar Rally will prove to be a game changer in the future. When we talk about Electric Scooters or Motorcycles, the first thing we look at is the range of the vehicle. The range of an Electric Vehicle is the deciding factor for its acceptance by the masses. There are a lot of electric scooters available in the country but most of them are basic scooters with a lead-acid battery and 250 Watt motor. These electric scooters have a top speed of 25 kmph and a range of 50-60 Km per charge. 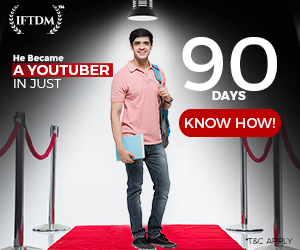 A buyer in a metro city would never buy something so slow and limited range. The quest for Electric Range is raging all over the world. 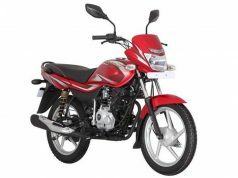 In India though, there have been few launches with a little longer range like Ather 340 and 450 with 80 Km and 105 Km range respectively. Recently Okinawa overturned the whole game by offering an electric range of 160 to 180 Km per charge in there new electric scooter i-Praise. 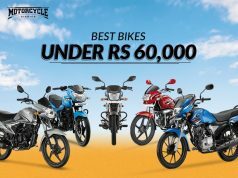 Electric two-wheeler market is not seeing the light of better sales because electric scooters or motorcycles come at quite a higher price offering a similar performance when compared to their petrol-powered counterparts. 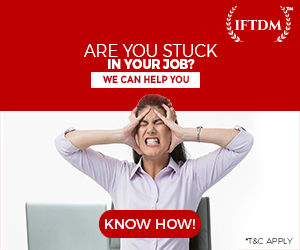 Charging is another problem as it takes 2-3 hours to charge the battery before using. 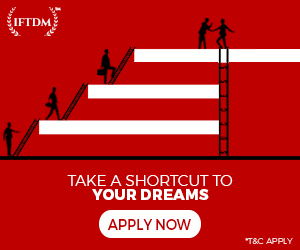 There are certain requirements which could provide traction to sales of electric scooters or motorcycles and they are high performance, super-fast charging and must be available at lower prices. 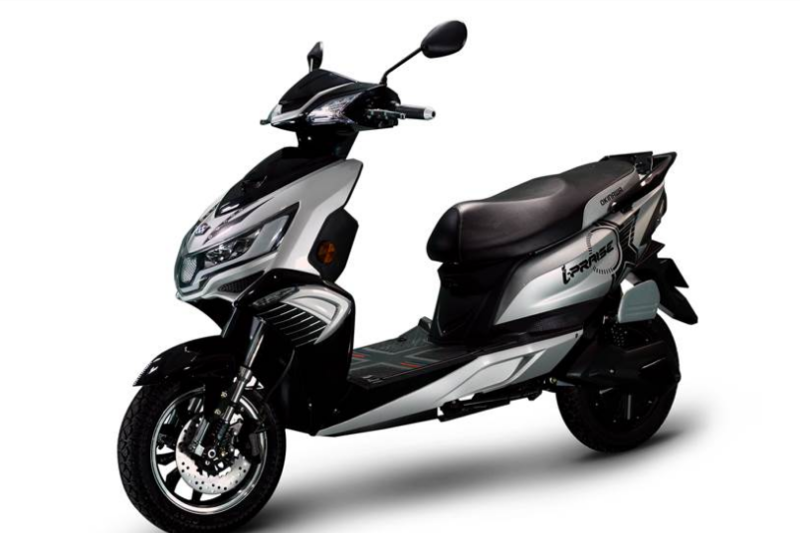 The Okinawa i-Praise can become a game changer as other manufacturers will likely to launch such products in the market and provide stability to the electric two-wheeler market.